Short, flat walk to restaurants, shops and activities - no steep hills to climb! 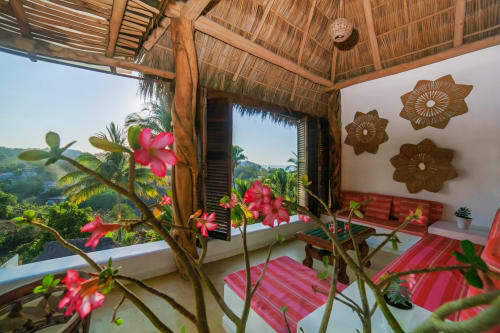 Villas Dorado and Robalo in Sayulita, in the beachfront Villa del Palmar complex on the north side of town are two adjacent homes that can be rented together for large families or groups. With 8 bedrooms and 8 bathrooms, together the villas can accommodate up to 20 guests. 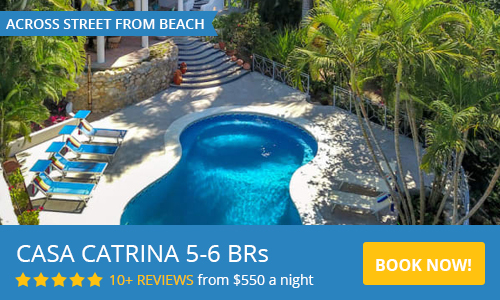 The Villas del Palmar complex is gated, with 24 hour security, has a huge swimming pool, and is within short, flat walking distance to restaurants, shops and all the activities Sayulita has to offer. No steep hills to climb! Villas Dorado and Robalo are great for large groups, who want to have their own private sleeping, living and kitchen space, yet still be in close enough proximity to enjoy time together. 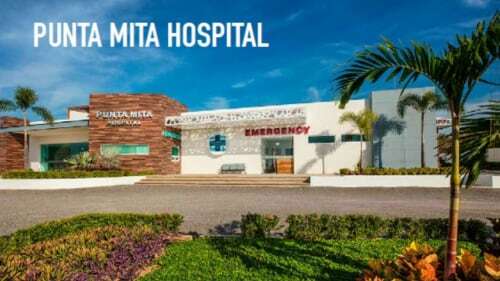 The homes are both set up with one bedroom one bath units on the first floors, two bedroom two bath units on the second floors, and one bedroom one bath penthouses on the top floors, which have a connecting privacy door which can be left open when rented by the same group. Please use the contact form to get in touch with any questions and to request a reservation. Need less space? Villa Dorado and Villa Robalo can be rented separately, with 4 bedrooms each. There are also 1 and 2 bedroom options available.